I spent today doing what I love best (ahem), formatting and editing a word document ready for uploading to Smashwords and Amazon. It frustrated me from the beginning of my 2013 writing challenge that I wasn’t able to put the Two-Hundred Steps Home volumes onto Amazon, because they don’t allow permanently free books. It has therefore always been my intention to combine the twelve volumes into one book to put on Amazon. The dilemma is whether to spend time proofreading and checking for continuity errors and risk getting sucked into doing a full edit (which is not something I intend to get dragged into). Hubbie argues that the original instalments shouldn’t be altered (apart from fixing obvious typos as and when I see them or am told about them) as that was the purpose of the challenge: to write a first draft novel and publish as-is. 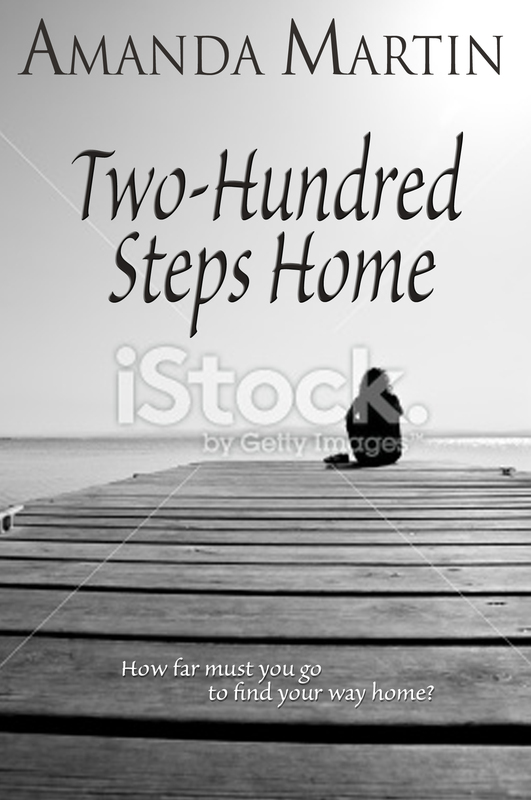 Two-Hundred Steps Home was written during 2013 in daily instalments on Amanda Martin’s writermummy blog. She wanted to see if it was possible to write the first draft of a novel and publish it every day, much as a Nineteenth-Century Dickens novel might have been published. Throughout a long year, with hours of painstaking research into the hostels and tourist attractions of UK and New Zealand, and with the endless support of her family, Amanda followed Claire on a journey of discovery from her life as a Marketing Director to someone searching for meaning on the beaches of Cornwall. Unsure in the beginning whether she would complete her challenge, Amanda continued day by day because of the faithful followers on her blog. 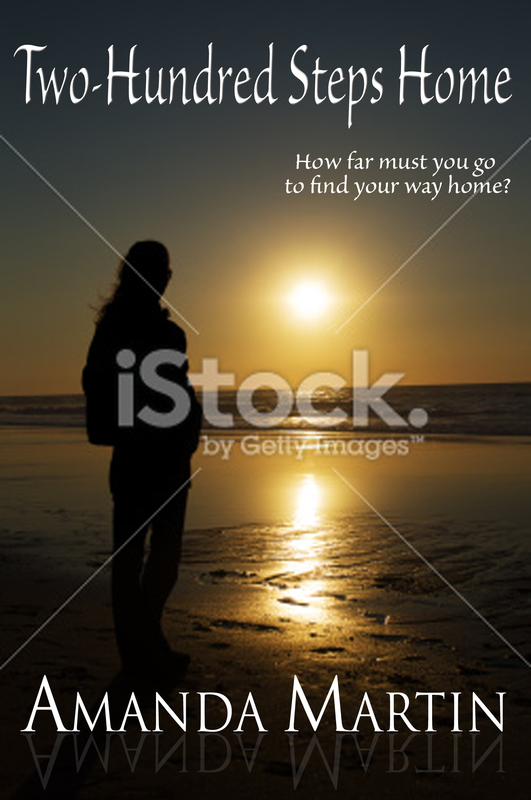 And so, 285,000 words, 365 posts and 12 novellas later, Claire’s journey reached the end. It’s a work in progress! As is the front cover. After carefully choosing an image to fit with the theme of each volume, month on month, it has been impossible to come up with an image that sums up the whole of Claire’s journey. These are the two I’m playing with at the moment but I’m not entirely satisfied with either. What I’d really love to do is have a proper cover designed by someone that knows what they’re doing, rather than me with some istockphoto images and Adobe Photoshop. But, again, it doesn’t fit in with the original challenge of doing it all myself and, besides, I can’t afford it! When I think about it too much, I feel I should hold back on getting out a complete volume. Part of me wants to get something live this week, so I can get back to the proper job of writing when the children go back to school next week, while the rest of me knows that rushing into any self-publishing breaks all the rules and risks damaging an author’s reputation. But then so does writing a novel in chunks at 2am and publishing the first draft. However, 6,000 downloads later, it doesn’t seem to have done too badly. My only other point of indecision is whether to call it “Two-Hundred Steps Home Volumes 1-12” or “The Complete Journey” to separate it from the individual volumes but also make clear it isn’t a sequel! I can write fast, but not that fast! 🙂 Ah well, knowing me I’ll make an impulsive decision at midnight and you’ll see something live shortly after. If no one buys it, I’ll come up with a Plan B. Posted on January 3, 2014 by Amanda Martin	• This entry was posted in 2014 Daily Blog, Covers and Artwork, Formatting, My Novels, Self-Publishing, YHA Novel Two-Hundred Steps Home and tagged 2013 365 Challenge, Amazon Kindle, Formatting, Postaday2014, Self-publishing, YHA Novel Two-Hundred Steps Home. Bookmark the permalink. I think this story has potential! Not totally sure what you should do with it thoug! Ah yes, I fell foul of Amazon price matching after a Smashwords promotion – I ended up with Baby Blues at 99c for weeks and weeks! I pulled off Kobo after the WHSmiths fiasco. I think I’ll probably charge a bit for the full volume, as people can still get the individual volumes for free. For what it’s worth I like the first cover best and the disclaimer reads well, to me. If you can I’d make sure you explain it in the product spec as well. Or,Mir free was your preference can you pipe it through to Amazon from Smashwords so it’s permanently free? I think you can have it free on kobo from Smashwords and then ask people to tell amazon and they’ll price match it. Just realised I answered your comment in my reply to Rinelle (have just done three hours of craft and my brain is fried!). I think I will charge a bit for this volume, as the individual volumes are free. Hubbie prefers the first cover too! I like the cover you chose for Amazon better than either of these two shown. Thanks, yes, me too. I stumbled across it at the last minute. It also sits nicely alongside Dragon Wraiths and Baby Blues. Class Act isn’t really going to blend though!